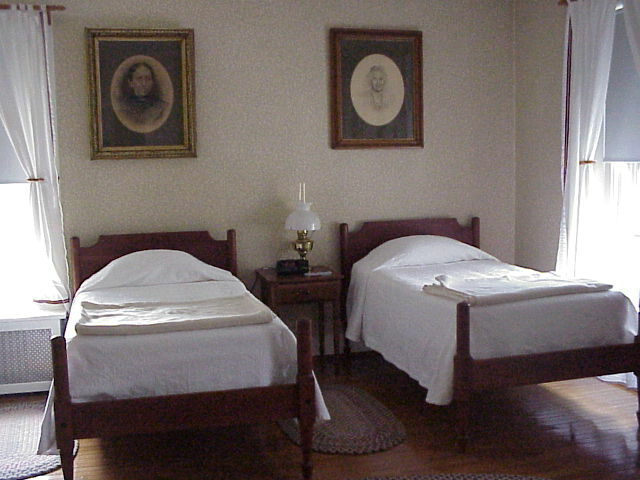 The guest house has five charming double occupancy rooms available for overnight lodging. 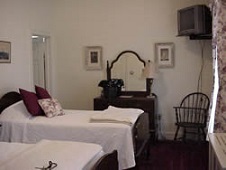 Each room is equipped with air conditioning and cable television. Also, the Dining and Living Rooms are available for receptions, meetings, and small gatherings. This gracious house can be fully reserved, including all five bedrooms, kitchen, living room and dining room as a quiet and inviting place for guests to relax. Each room has its own quaint decor.